I’m writing this to you because after three years of running Words of Women I’ve finally decided to draw back the curtain and tell you about myself. My name is Lauren Martin and I’m a 27-year-old New Yorker who created Words of Women as an outlet. For three years I’ve been using it for myself. When I’m sad, I find quotes that make me feel better. When I need motivation, I find inspiration that will keep me going. When I’m lost, I find stories of other women to make me feel less alone. I’m an attempt to heal my own wounds, I’ve found comfort knowing that other women have the same ones. I like that when I’m feeling sad, so many of you are feeling sad right there with me. I like that when I’m hurting, you’re hurting. After three years of quotes, research and lessons, I’ve learned that there is comfort in numbers. There’s comfort in knowing you’re not alone. There’s comfort in ‘putting it out there’ and having it so warmly received. So I’ve come up with something —a clubhouse. A clubhouse for women who just need a place to go when they need to talk, scream, let it out. A place to vent before going back to parents, boyfriends, girlfriends, roommates after a long day of work. A place to go when you don’t know what else to do. A place you can go instead of the bar or your ex or into the dark corners of your mind. It’s something I need in my life. And I can’t help but thinking that if I need this, other women may also need it. I’m 27 and my mental health isn’t getting any better. In fact, I find myself more vulnerable, confused and lost today than I did last year. I’ve tried to find a therapist but it’s expensive. And if I find one I can afford, I don’t always connect with him or her. And if I do connect, then I can only see him or her on my scheduled appointment days. What about the days I’m going to explode? What about the days I just want to tell random, caring strangers about what I’m feeling? Where can I go to just drop the emotional weight and move forward? 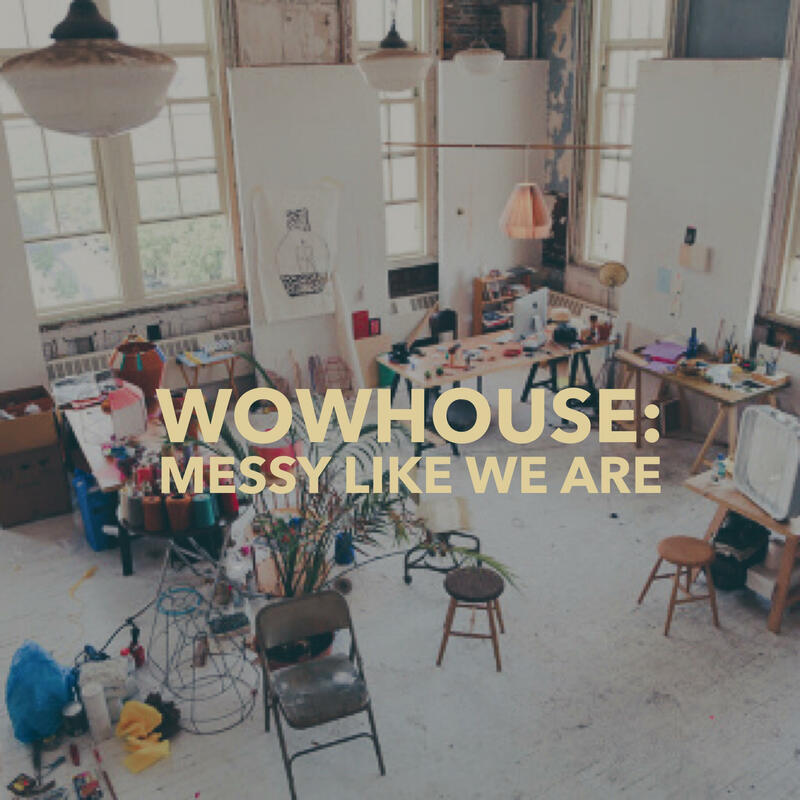 After months of planning, testing and working this through I’ve come up with WOWhouse. What is it? It’s a safe space where women can come and not just detox their negative emotions, but work on new habits to build emotional resilience. 10 minutes of open forum where we get comfortable and ease into sharing mode. 45 minutes of small group talk (of just 4 people per group) where we can really just vent and get the personal time we need to get our feelings off our chest. 30 minutes of an artistic healing activity. This could be collaging, painting, writing letters of forgiveness. Whatever the activity is, it’ll be a proven technique to help you express and resolve emotions. Every session will end with 5 minutes of meditation. While I’d love to have these clubs all over the world (and that’s the goal), I need to start in NY in order to establish the working model. So if you’re in NY and would like to attend a session October 2, please sign up here. Time: The two sessions will be 6:00pm – 7:30pm and 7:30pm – 9pm. Sessions are $10 to cover the rental space and any other surprises. Read more here. Feel free to bring a friend. If enough people sign up, we’ll be doing more sessions every week and hopefully, every day. The Qualities of the Growth Mindset: Do You Have One? It’s such a good idea. I really feel connected of what you bring to us. I am from France. And it is a very good idea. People need help but don’t want to ask. This sort of group may become a safe place. I wish I could attend in NYC ! Keep going and good luck for the event !